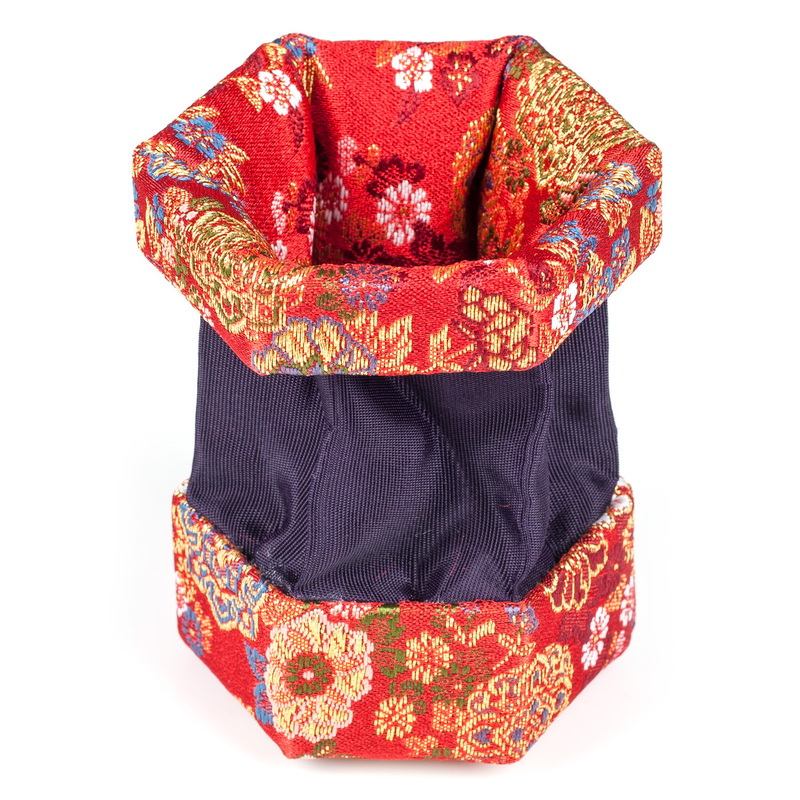 The Red Floral Traditional Japanese Jewellery Box is a delightful twist-to-open pouch which was traditionally used to keep incense but is now more commonly used for jewellery. 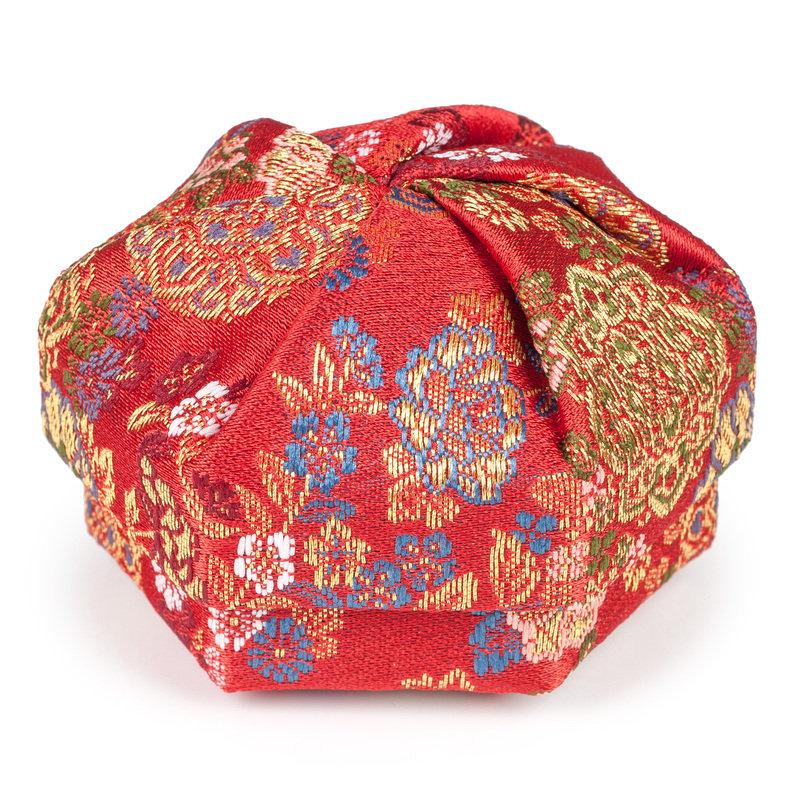 Exclusive to The Japanese Shop, this adorable little Japanese gift has been made from bright red chirimen fabric with a very pretty floral pattern. It is also a very useful keepsafe for medicine and other knick-knacks and comes complete with a smart white gift box. 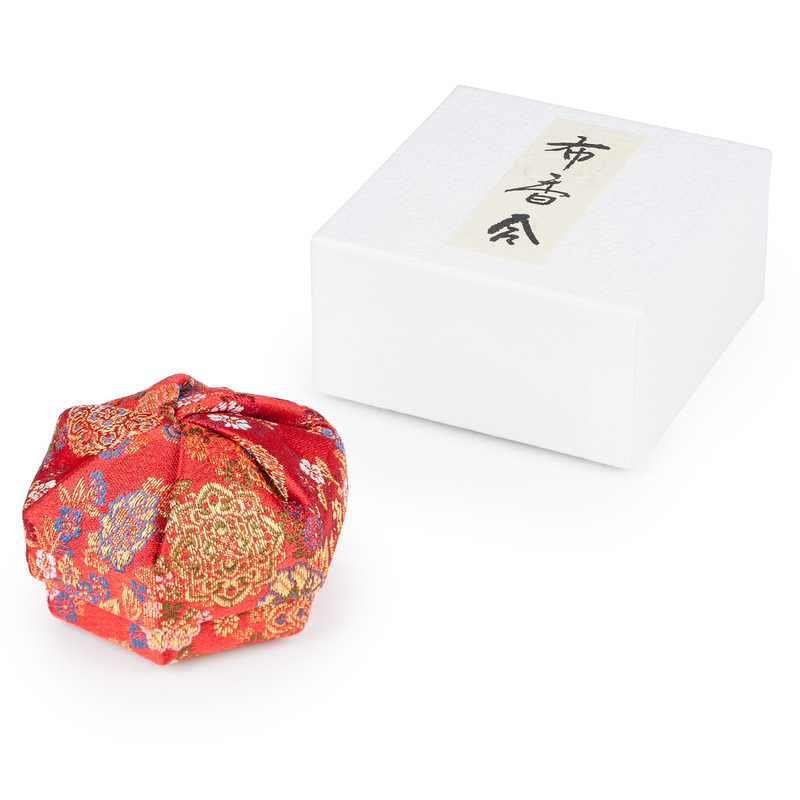 If you are looking for a traditional Japanese gift and something a little bit different, the Red Floral Traditional Japanese Jewellery Box is an ideal choice! The stylish black Japanese kanji characters on the box reads, scented jewellery box. Please note that colours and patterns do vary slightly. Make someone smile and order the Red Floral Traditional Japanese Jewellery Box online today, or come to our store for more authentic Japanese gifts! Don't miss out on our FREE gift wrapping service when you place your order!